SGF conducted PRA and door to door survey in 10 villages of 4 GPs under Karmpada Iron ore Mines and Ghatkuri Iron and Manganese Ore Mines in Sarenda forest areas of West singhbum district of Jharkhand with the support of The General Produce Co. Ltd. in the year 2014. The aim of the study was to providing necessary information and technical support for drawing up a comprehensive CSR action plan for undertaking development works in the Sarenda area. A detailed household survey in 10 villages under Karmpada Iron ore Mines and Ghatkuri Iron and Manganese Ore Mines in Sarenda forest areas was undertaken and a comprehensive report on prevailing socio-economic conditions of people living in these villages is prepared. SGF conducted a needs assessment study and prepared micro planning in villages coming under ESSEL Mining and HINDAL CO areas in Keonjhar and Sambalpur district in Odisha with the support of Aditya Birla Group. A detailed Project Report (DPR) for livelihood interventions was prepared based on the needs assessment study for implementation activities by ESSEL MINING and HINDAL CO its CSR initiatives. 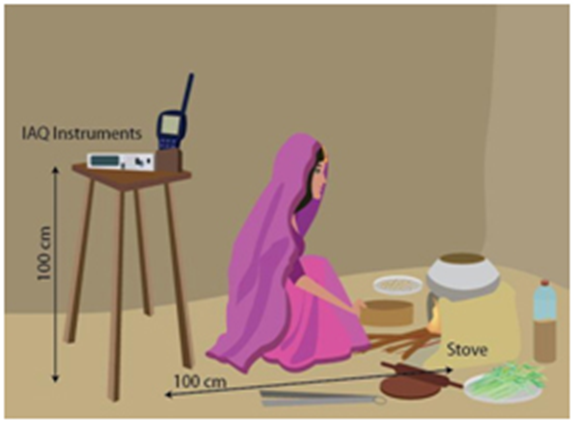 A study on indoor air-quality has been conducted with the technical support of TERI in the operational households. It has established that noticeable improvements in air quality occur within weeks of communities adopting the ICS. It reduces the susceptibility of individuals to fatal diseases such as pneumonia, stroke, ischemic heart disease, chronic obstructive pulmonary disease and lung cancer. It is especially beneficial to improving the health of children. Reduction in incidents of disease also reduces the pressure on government health infrastructure.